Know someone with a touch of the winter blues? 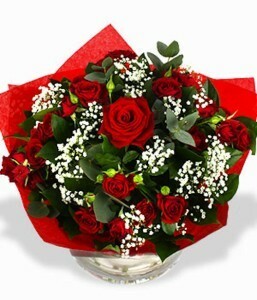 Put a smile back on their face with a bouquet from SerenataFlowers.com. Serenata are one of the UK's leading online florists, delivering flowers, wine, hampers and other gifts since 2003. With dozens of options to choose from, you're sure to find the perfect gift to brighten up your loved-one's day. We've got a free bouquet to give away for one lucky winner. Simply let us know your favourite flower and the reason below to be in with a chance of winning. The most creative or interesting answer, as judged by Londonist editors, will win the prize. Entrants and recipient must be resident in the UK. We need your email address in order to contact you if you win. However, we won't share any of your information with third parties, or store your details beyond the duration of the competition. Entries close at midnight at the end of 4 February. A winner will be chosen and notified on 5 February. The winner can choose any flowers from Serenata up to a maximum value of £40.